"Be Happy, Be Healthy, Be Strong"
At Be Strong, our mission is to enable our members to get the most out of themselves, to find out what they can Be, at Be Strong. Here, we put the spotlight on those members. "Be Strong provided me with the tools and motivation to make my fitness and health a priority again. After joining, I quickly began seeing changes in my strength, endurance and body." "I ran 5 to 6 miles every morning and tried several extreme diets. No matter how hard I tried I couldn't get the weight off." A couple finds health and happiness at Be Strong after "struggling for structure at $30/mo gyms, constantly feeling lost and discouraged"
"Once you start reading labels, you will see that sugar is in pretty much EVERYTHING that comes in a bag or a can." Next thing I know I'm in Prague Chez Republic competing on the world stage! Be Strong member Mary has lost over 30 pounds and gained the energy to dance the night away! I never thought that I would fall in love with powerlifting or working out for that matter but here we are! If you’re looking for a gym where you’ll get individual attention, where you can train at your highest level of fitness, where you can learn, grow and make new friends, Be Strong is the place! Click here for the full story! 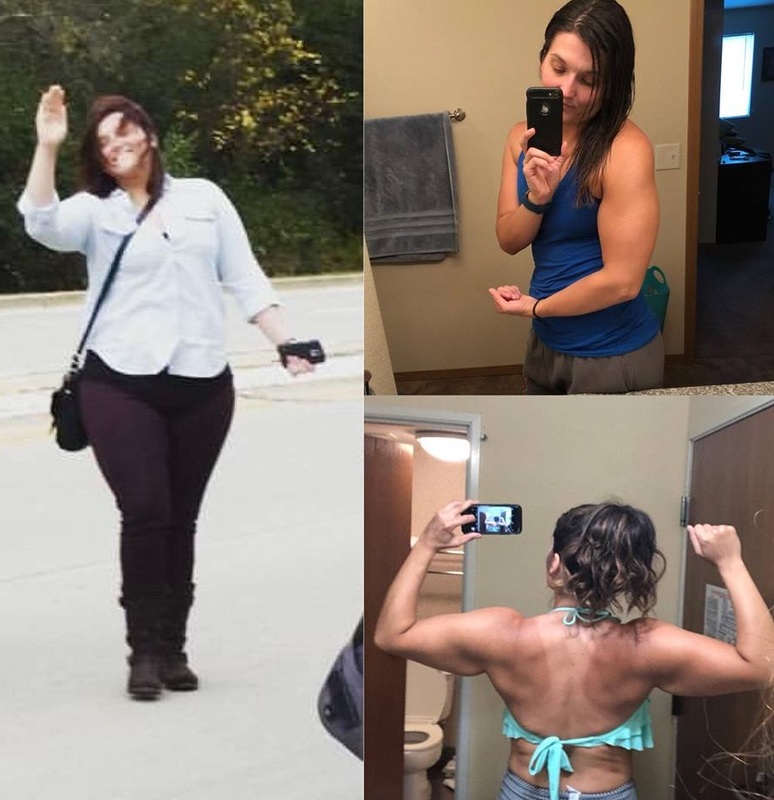 “I binged, I purged, I was stressed, I was unhappy, I was unhealthy, and I failed at other gyms and other workout programs. 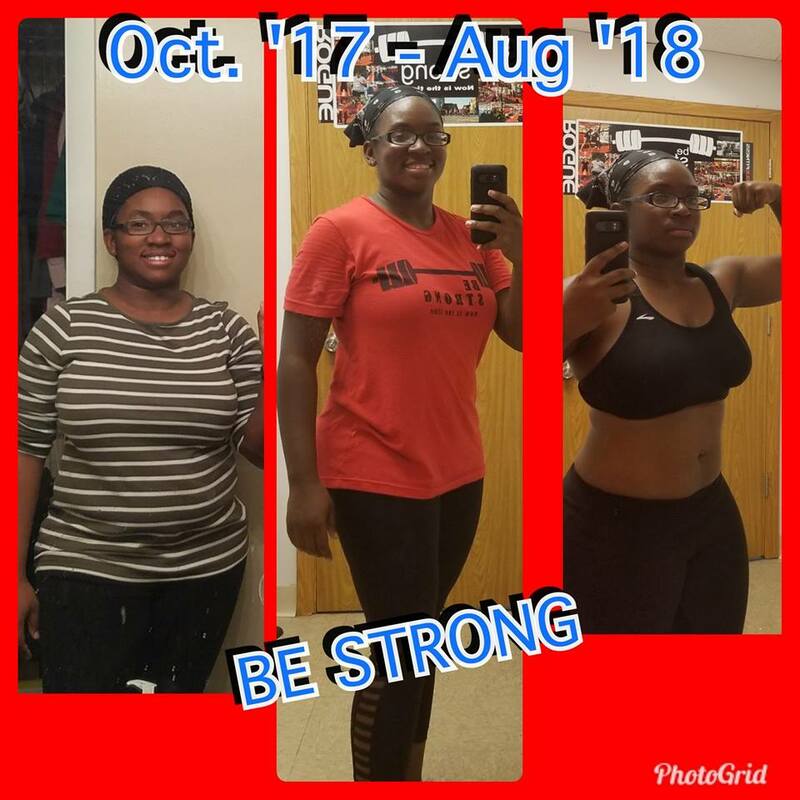 Then I said never again by joining Be Strong!” Click to see Kacey's story. I sat in my car outside of the gym and had massive anxiety for 20 minutes. I thought, "What am I doing here? I can't do this." Click to see Cassie's Story. I know now, with the correct training and dedication from Drew and coaches at Be Strong, there is nothing I cannot do. Click to see Matt's story. I decided to give Be strong a chance since I was going to other gyms and not getting the results I needed. Click to read Jill's story. I am almost 100 pounds lighter and I take zero meds. Click here to see Michelle's story. Although training is tough, the individuals who do it are motivating and encouraging, both to novice and more vetted athletes, something I couldn’t find at the "commercial" gyms. Click to see Tamecia's story. "I have lost fat and inches while gaining muscle! My progress is ongoing and I'm improving fast!" “This gym is fantastic and everyone should give it a try because I’m sure they will fall in love with it as much as I have!” Click here for the full story! "My new desk job had caused me to gain nearly 25 pounds! Each morning I would cry trying to fit into ANYTHING I owned that was acceptable attire for work." I'm starting to drop weight and gain muscle. But what you don't see is the confidence I'm gaining - both inside and outside the gym. Click to read more of Mary's story. "After having back surgery in 2016, I had gained a lot of extra weight which was causing much renowned pain"
"I wanted a gym that I would feel comfortable walking into alone." Relapses seemed to occur far too often. As luck would have it I met Drew. Click to read Brandon's story. “I've found another group of athletes that push each other to give their best every day.” Click to see Tony's story. 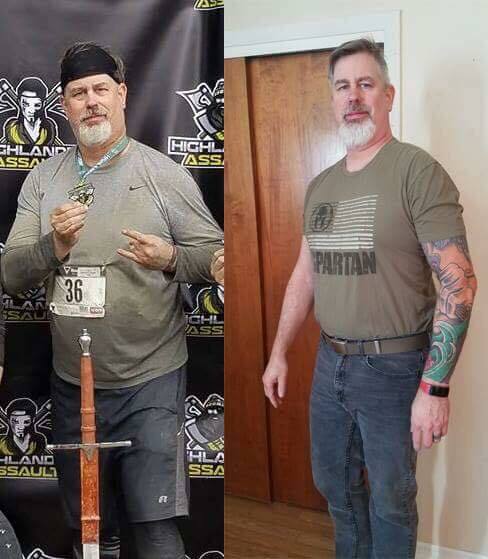 “Bloomington Normal's Transformation Nation!!! 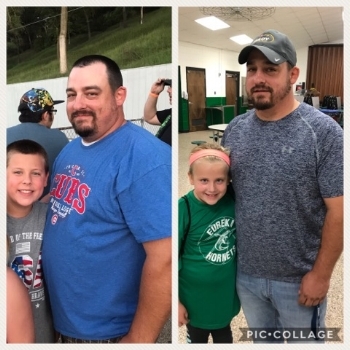 From Dad bod to Dad beast this is Be Strong athlete Jack's story”. Click to see Jack's Story. Shortly after joining Be Strong I knew this was exactly where I needed to be. Drew saw potential in me that I didn’t see. Click to read the full story. I started where you are at......you can do this. Click to see Lauri's story. "The workouts are different each day so I am continuously motivated to reach new goals." Click to read full story. I started this journey at 193 lbs and now am happy to say I'm 163 lbs 2 pants size down with toner abs, arms and thighs. Click here for the full story!! Be Strong has this unique ability to push you to be a better version of yourself! Click here to read full story! “Do the work and the results will follow,” Drew said and he is absolutely right. LOST 20 pounds, GAINED self-confidence. 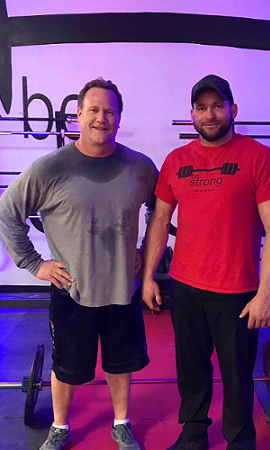 "In my experience as a nurse, I have seen way too many patients with coronary/peripheral artery disease, type 2 diabetes, osteoporosis, and severe obesity to know training at Be Strong will prevent these diseases." - Click to read Erin's story. I’m ecstatic to partner with these amazing individuals at Be Strong. They inspire me to strive for my goals. Every. Single. Day. Show up. Be you. And Be Strong. Click here to read full story! I look forward to training every day and making these small steps towards my bigger fitness goals. Click here to read full story! "I've learned to love myself again." Click to see Annrika's story. Six years of training and the results keep coming! I tried other gyms and I was not getting the results I wanted to be healthier, physically and mentally. 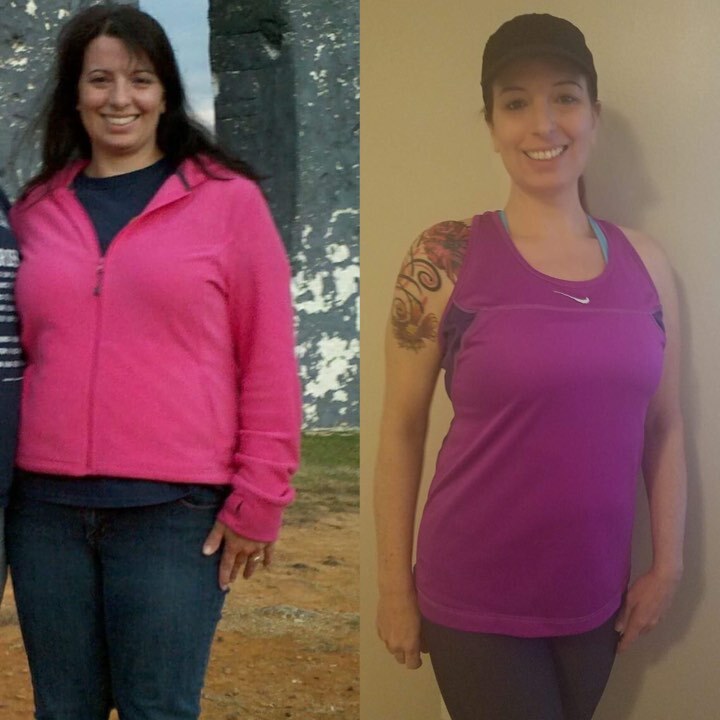 Click here to read more about Jill’s continuing success!! I weighed over 488 lb, was diabetic and my blood pressure was extremely high even while taking 3 different medications to treat it. Click here for full story!